I'm a sedan guy, through and through. There's something special about a 4-door "sports" car, or at minimum, a 4-door touring car with a bit of bite, and if you ask me, it fits the BMW ethos rather well. With that said, there are a handful of cars I've always preferred the coupe version of: namely the E36, and in this case, the E30. The sedan sports lines that I've always found hard to embrace, but Mikael Laukkanen has found a way to change that opinion drastically. 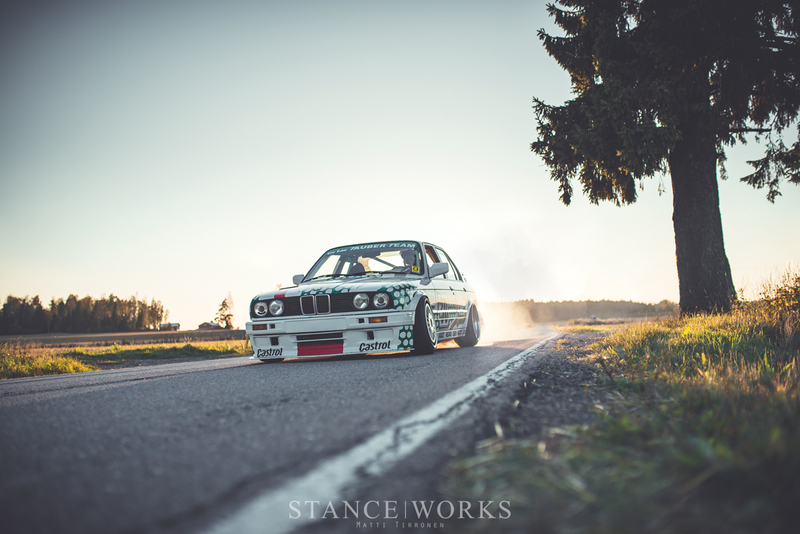 With no element left untouched, his all-out E30 build has left nearly nothing to be desired. So, of course, it deserves a place right here. 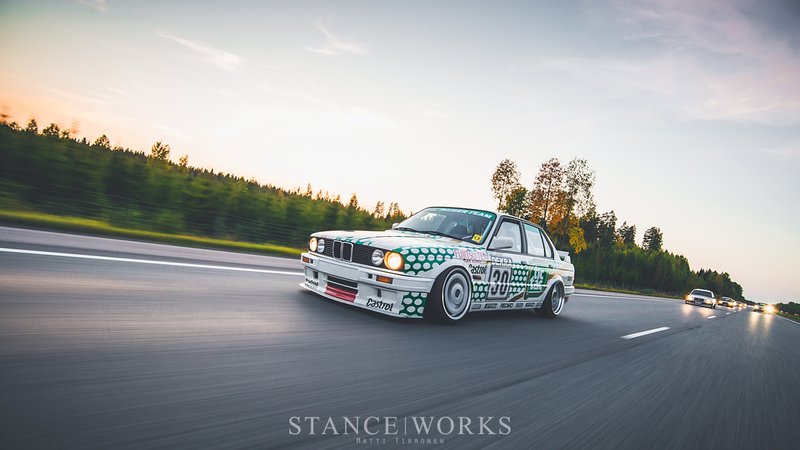 It sounds like Mikael is a bit like me - he's got a thing for four doors, and in todays' case, it's for an E28 M535i. 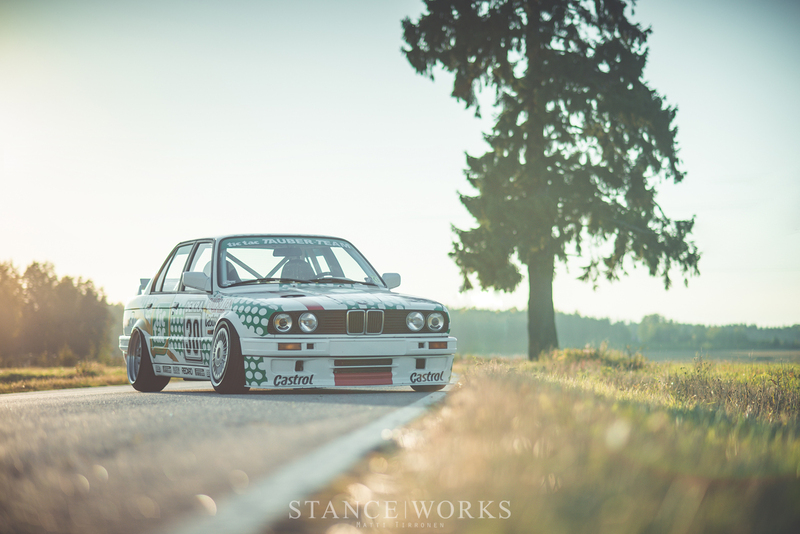 He insists that when he parts ways with this car, it'll be the end of his "E30 Hobby." 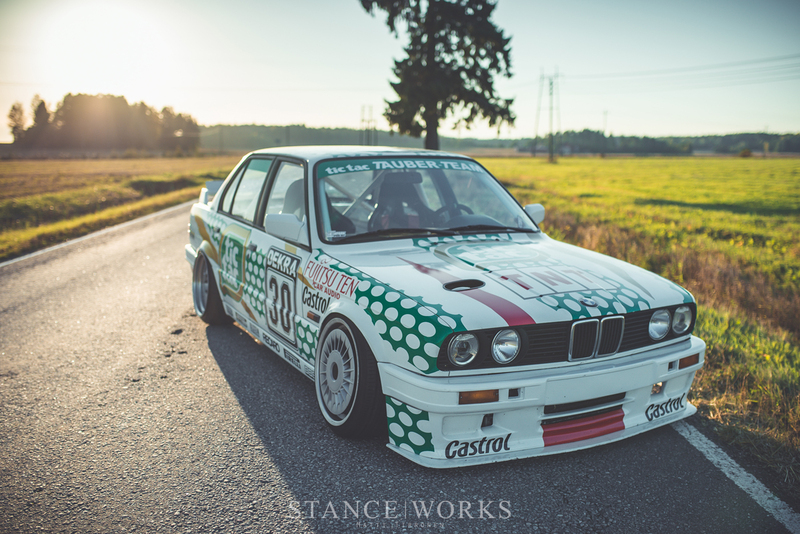 With that said, he's no stranger to the E30 chassis. He acquired his first at just 11 years old, which probably leaves both you and I scratching our heads. 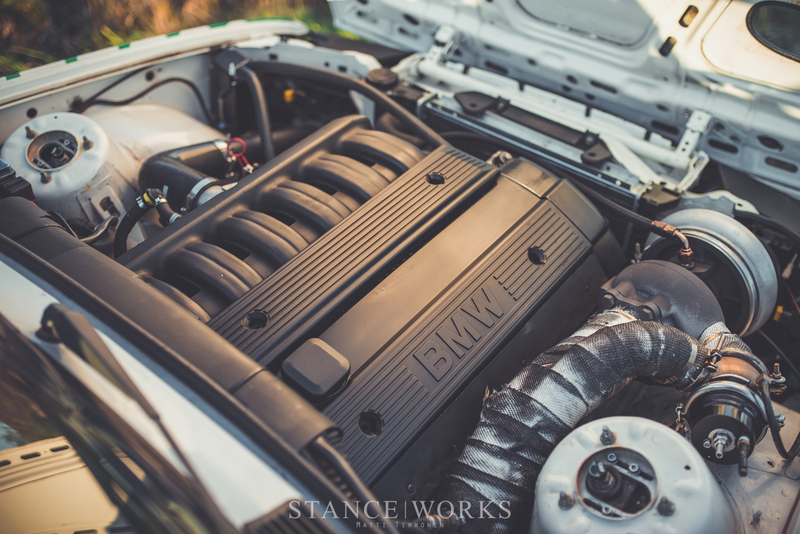 Nonetheless, he says ever since, despite all the projects he's undertaken, there's always been an E30 around, for better or worse. I suppose it's safe to say that he's had some time to dream up his perfect E30. Mikael's thought and hard work shows - its almost tough to decide where to begin when discussing the build. 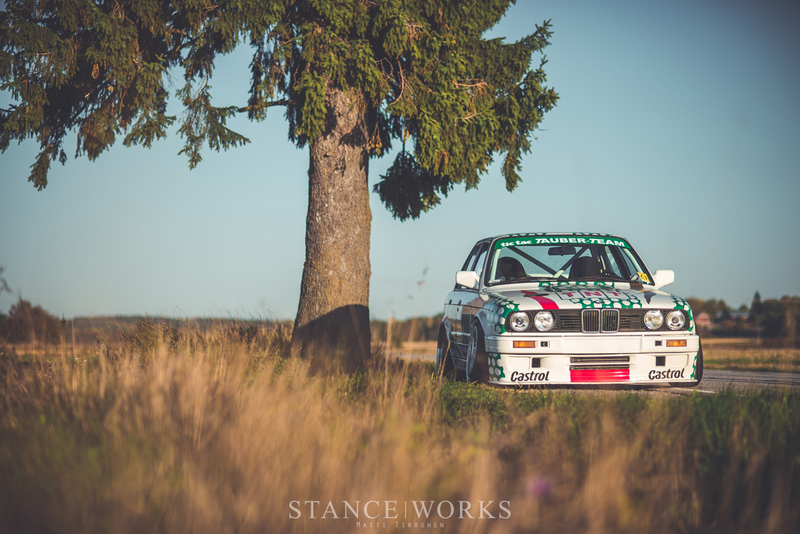 He acquired this particular E30 for nearly nothing: it was the result of a trade for a set of spare 16" wheels, believe it or not. 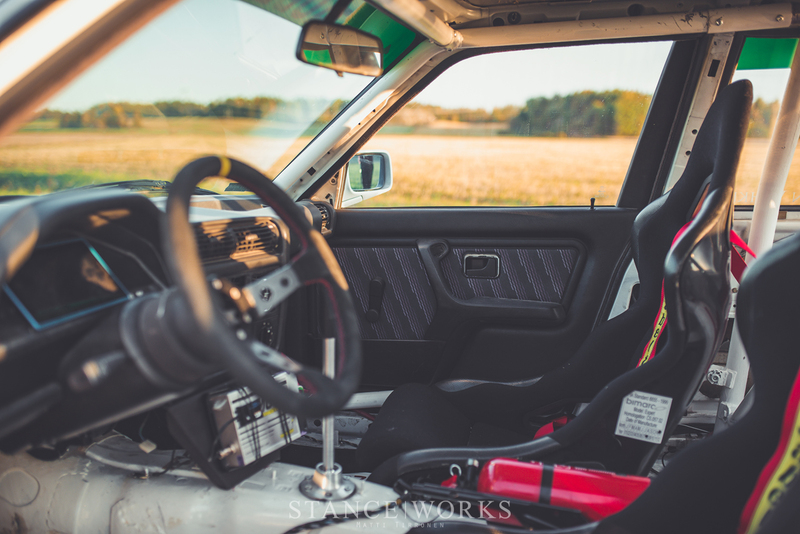 It was a bone-stock 316i sedan with a bit of rust, so it comes as no surprise that someone might not see much value in it, but as a chassis that was cleaner than Mikael's then-current E30, he saw a diamond in the rough. After acquiring it, he pulled it straight into the garage and began the build. He repaired the rust himself, and followed it with paint of his own: 2 stage Alpineweiss, done by himself. 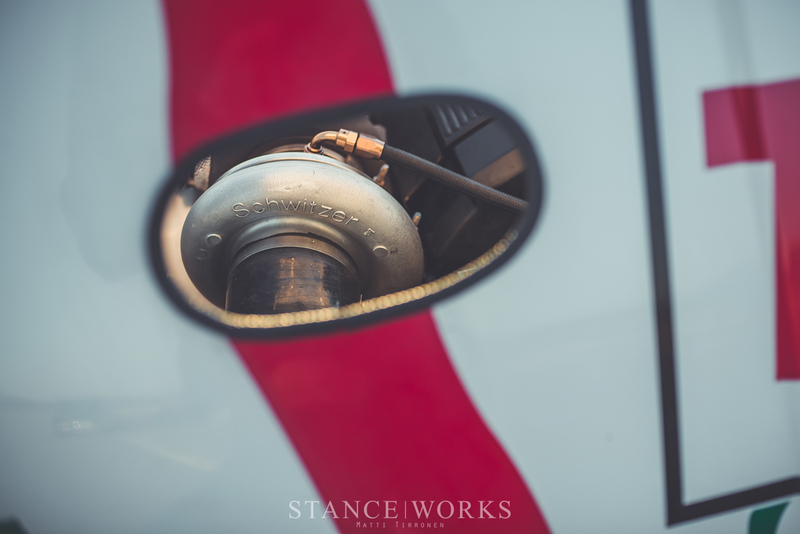 He swaped parts like his 5-lug suspension, coilovers, and big brakes over, as well as a leather interior and sport seats, all sourced from his previous build. 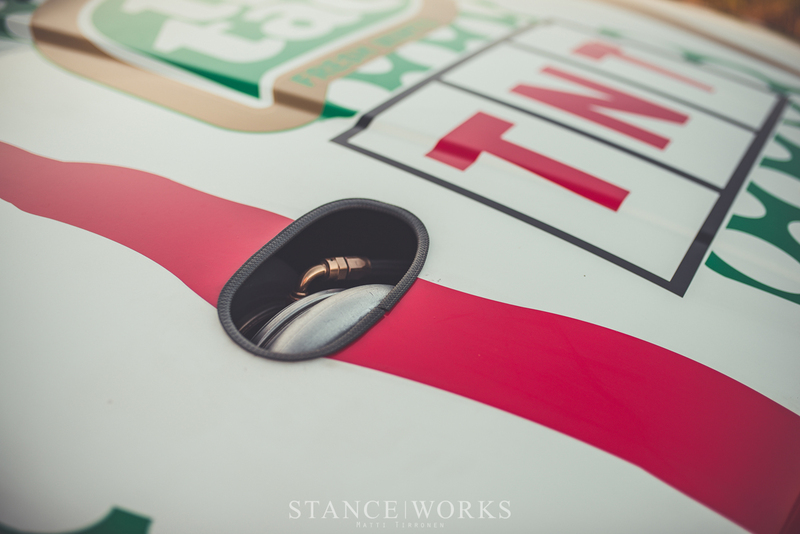 His initial plans were for an "innocent-looking" daily driver with a bit of power sleeping under the hood. As he says, things simply spiraled out of control. 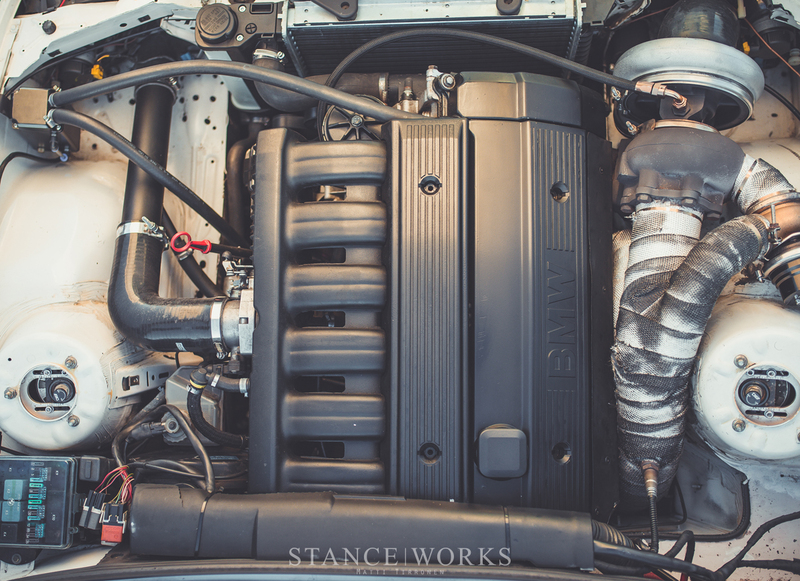 A turbo M50B25 swap was part of the plan, but a mild 300hp build grew bigger as he found a nice 66mm Schwitzer turbo. ARP headstuds were instealled, an intake cam was fitted to the exhaust side, and a 60mm wastegate was sourced, too. 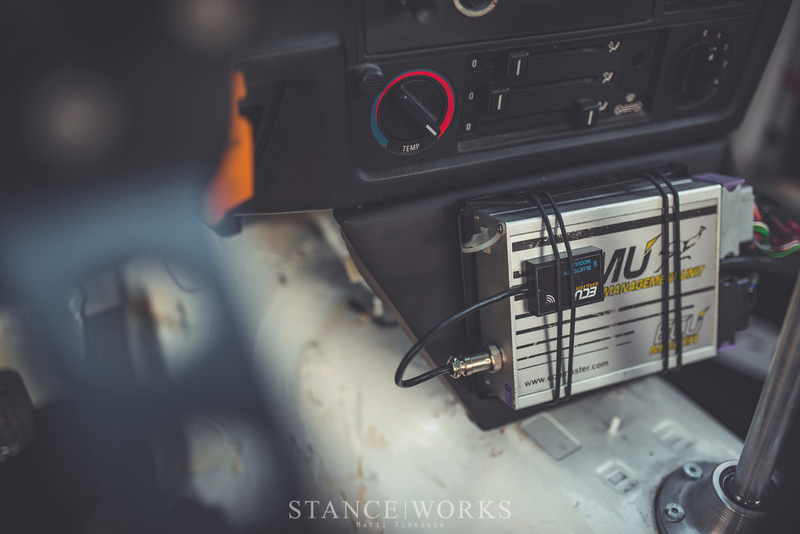 An Ecumaster EMU ECU powers the engine, and running on E85 now, the car runs at about 18lbs of boost, and yields a hefty 400hp: an assuredly wild ride in a stripped E30. As Mikael pointed out to me, "I'll do a few small upgrades" are famous last words. Before long, an M-Tech 2 body kit and an E30 M3 Evo-style wing arrived on his doorstep. Suspension goodies, like a steering angle kit, Strongflex bushings, E46 LCAs, and an E36 rack were installed shortly after. A pair of 17x10.5" Futuras were found for cheap on Ebay, and paired with a set of factory M-systems with spaced turbine covers, making for a fantastic set of mismatched but appropriate race-inspired wheels. They're made even more fitting with the DTM-inspired TicTac livery. As his favorite from the DTM era, it was an obvious choice. After having it printed, it was applied by his friend Matti Tirronen, whom also photographed it for the feature. 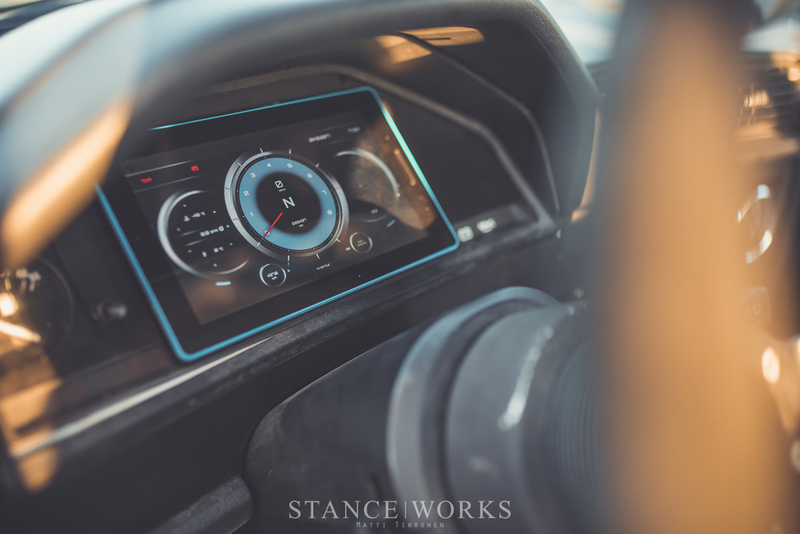 Mikael admits its a bit of a handful to drive, so new changes are coming to help stabilize it at speed - something he'll find necessary as he builds his 2.8-liter stroker with hopes of 700 horsepower. 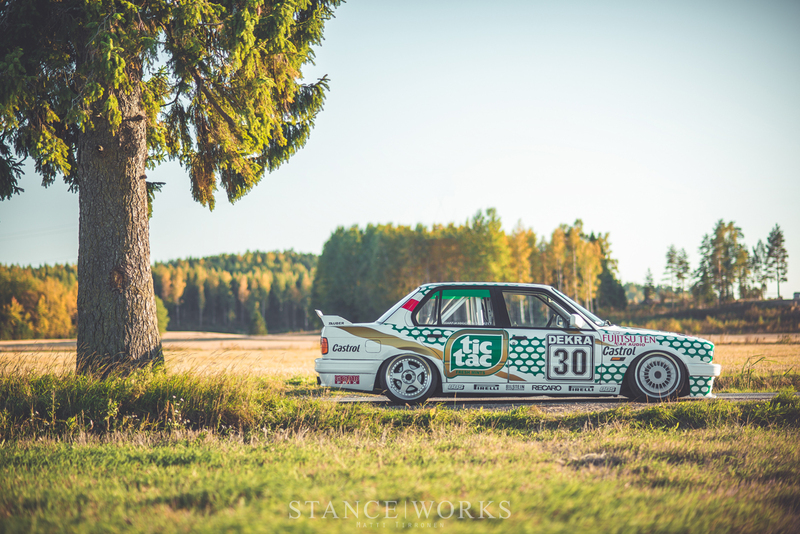 Standing-mile events have his attention these days, which means we may be hearing of a 200mph E30 from a small town in Finland. We'll keep our fingers crossed, Mikael. Can we get a wallpaper with this beauty?